For years, Ohio Department of Transportation bridge inspectors have used what are called snooper trucks—trucks that lift the inspector over the side of the bridge so they can inspect underneath the bridge deck. But inspectors weren’t able to see everything, including the middle of the bridge. Now officials are trying to figure out if drones could help. 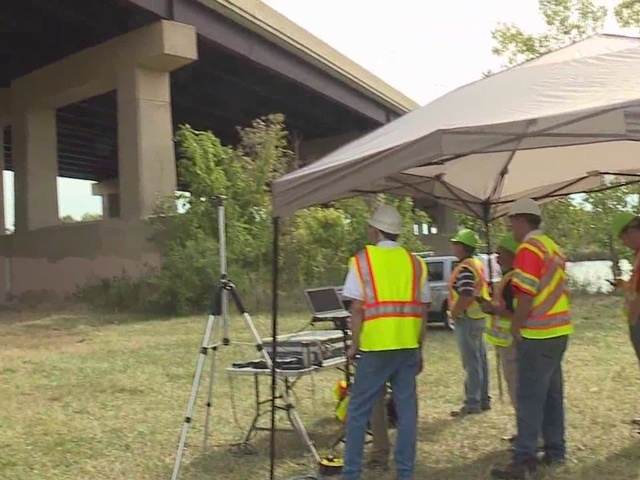 On Tuesday, ODOT did a demonstration with a drone flying under the Sandusky Bridge and over the Sandusky River. The Sandusky Bridge is three football fields long. ODOT and Ohio Turnpike officials say drones would save time, money and would be safer. "So we will still use a human inspector, but they'll be reviewing the images, our bridge engineers will do that, but they’ll do it from the safety of a lab, or from their desk instead of from a snooper truck where they are dangling under a bridge to get the same information,” said Turnpike Executive Director Randy Cole. The images captured by drones would show bridge inspectors where repairs need to be made and where there is deterioration on the bridges. SenseFly, the company that operates the drone, said bridge inspections are only the beginning of possibilities for drones. "We can do water towers, cell phone towers, building facades, any kind of vertical feature where we have guys climbing on them currently, you can use this type of drone for those types of inspections,” said Briton Vorhees with SenseFly. From small bridges to big bridges, there are 914 bridges in ODOT District 12, which covers Lake, Geauga and Ashtabula counties. If officials like the results from Tuesday’s drone demonstration they will use drones more often to conduct other bridge inspections.